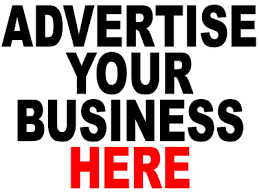 A married woman has been left with body scars after she was reportedly battered by her husband for sleeping with their neighbour. 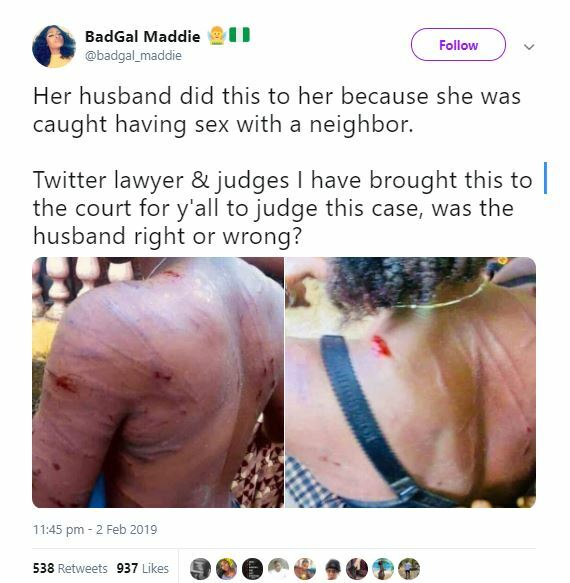 The sad story was made public by a Twitter user @badgal_maddie who narrated that the husband of the woman assaulted the wife out of annoyance leaving her in serious pain. 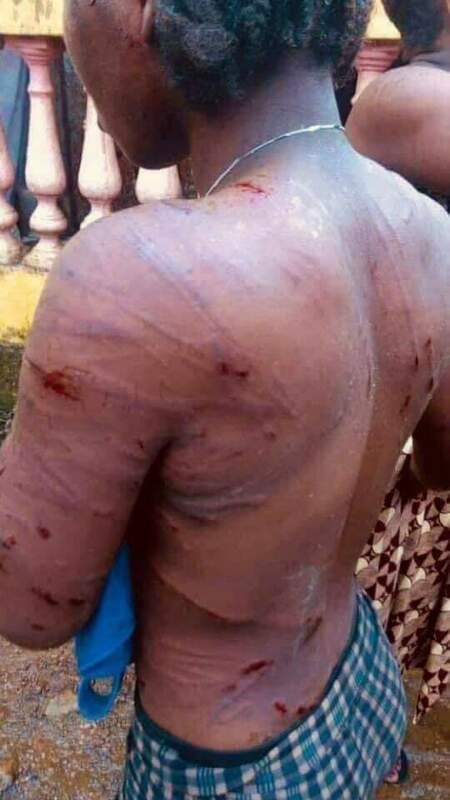 “Her husband did this to her because she was caught having s*x with a neighbor. Twitter lawyer & judges I have brought this to the court for y’all to judge this case, was the husband right or wrong?”, she wrote.